We build brands that Impact your bottom-line! Simply put. Consumers don`t buy products or services, they buy the promises that they believe the products or services will deliver. Understanding this concept, we develop and incorporate the proper images and marketing language in your advertising to reinforce the promise. designs and coding to help you be found online. All new 24-48hrs Printing. Now that’s Printastic! 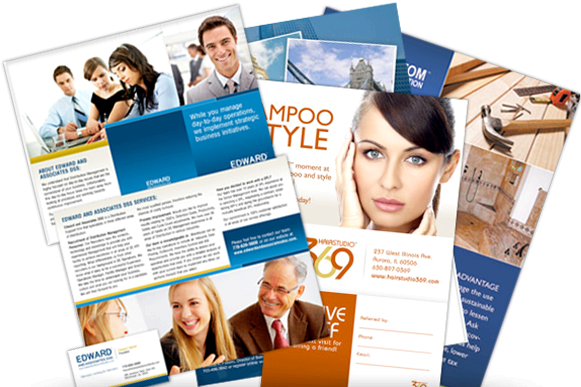 We offer 24-48hrs Printing for Business Cards, Standard Postcards, 8.5×11 Flyers, Sales Sheets, Posters and more, Printed on either 100lb, 110lb, 12p or 10pt card stock paper. Pickup Available. 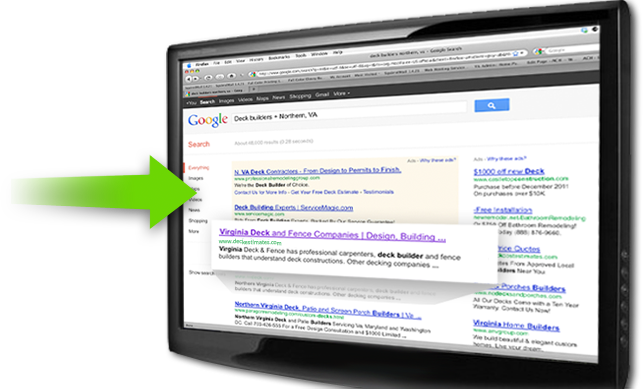 Professional designed and coded website + Organic SEO = More Sales! 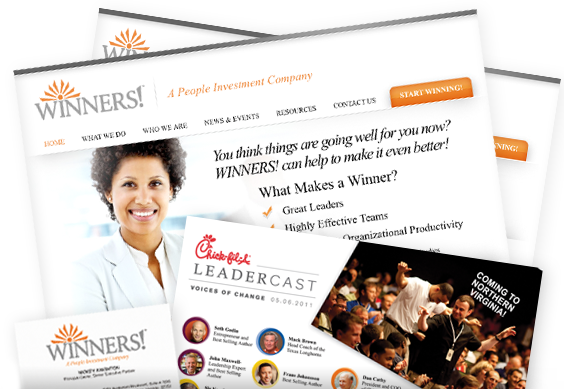 Need a new web presence to help drive traffic and impact your bottom-line? We can help you increase your leads and generate more revenue! Used by thousands of businesses throughout the US. At your door step within 4-7 Business Days on most print products. After hours/weekend customer service support. Is your desktop website navigation frustrating mobile users? Mobilize it! Did you know that more people search on their mobile device for products and/or services than on their desktop computer? 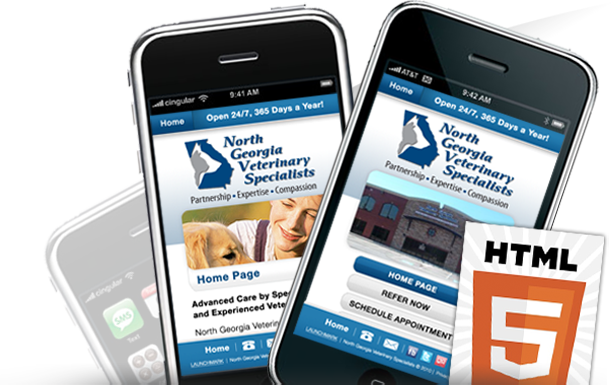 We develop mobile sites that provides better navigation, user experience, which prevents losing leads. 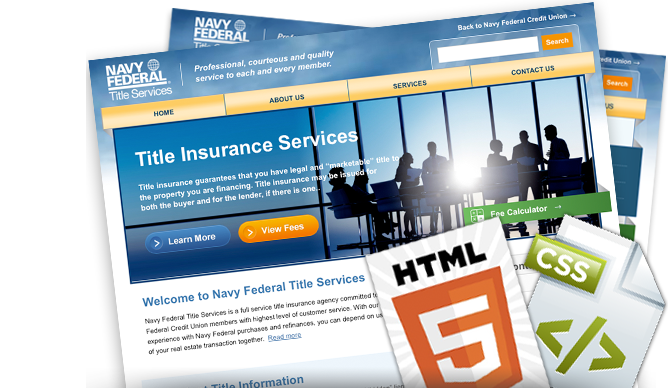 Need a website for your small business on a small budget? No problem, we can help you! Need a website for your business to get you up and running? No problem, we can help you! We’re passionate about what we do! 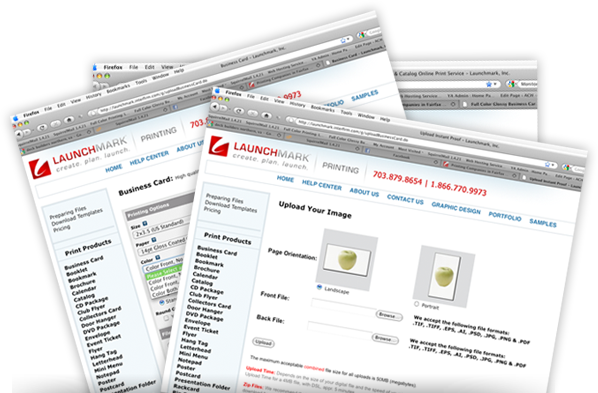 Launchmark is a full service integrated marketing firm that combines advertising, design, branding, print management, data and development together under one roof. Our team consists of talented professional marketers, brand specialists, graphic designers, programmers, copywriters, videographers and production print specialists with marketing experience that are passionate about what they do. We differentiate ourselves by incorporating that same passion into each project that we take on and do it at the most affordable price possible. Here is what our clients say about our products and services! “Awesome!!!!!! Thank you for providing good postcards and great customer service!!!!!! Warm Regards, Holly Moran Smiling Doggie, LLC. ” – Holly Moran Smiling Doggie, LLC. Virginia, Northern Virginia, Maryland, MD, Washington, DC. In addition, we support clients in New York State: from upstate Rochester, NY to New York City. However, our core clients reside in Northern VA, Maryland, Washington, DC, Georgia. Atlanta, GA, Marietta, GA, Georgia Area, Metro Atlanta, GA, Smyrna, GA, Kennesaw, GA, Cobb County, GA, Fulton County, GA, Dekalb County, GA, Gwinnett, County, GA and City of Atlanta, GA.